Ken McLaughlin, assistant city editor at the San Jose Mercury News and a lecturer in news reporting for the Science Communication Program, has been nominated for an Emmy Award for his reporting on "Torn Apart," a multimedia project on immigration published in the Mercury News. 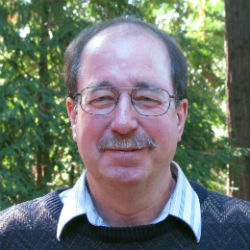 McLaughlin, who supervises the Mercury News' political and government coverage, shares the nomination with photojournalist and videographer Dai Sugano. The National Academy of Television Arts & Sciences named "Torn Apart" on July 18 as one of six nominees in the category of "New Approaches to News & Documentary Programming: Documentaries." The academy will announce the Emmy Award winners on September 26 in a ceremony at New York's Lincoln Center. "Torn Apart" first appeared in the Mercury News on September 18, 2010. Sugano and McLaughlin followed family members in San Mateo, California, on their emotional journey through the U.S. immigration system. Both parents came here as illegal immigrants, but all six of their children are American citizens. The father was deported before Christmas in 2008. The Mercury News team followed the family for a year as federal agents attempted to deport the mother as well. Sugano, senior multimedia editor at the Mercury News and a Bay Area photojournalist, won an Emmy Award in the same documentary category in 2008 for "Uprooted," which looked at the displacement of a group of mobile home residents in Sunnyvale. McLaughlin recounts the origins of "Torn Apart": "Two years ago, as the incendiary debate over illegal immigration continued to swirl around us, Dai and I heard statistics indicating there were millions of American children facing the real possibility that their undocumented parents would be detected and deported. For months, we searched for a family that would let us into their home as a parent underwent the ordeal of a deportation proceeding. A San Mateo family bravely agreed to let us do just that. "Even to two veteran journalists, the psychological damage being inflicted on the family was eye-opening and heartbreaking. We tried to tell the story in human terms, stripped of the overheated political rhetoric. As a print journalist, I was in awe working with a photojournalist so passionately devoted to story-telling. Teaming up with Dai over so many months and getting the Emmy nomination were both enormous honors." * The Council on Foreign Relations, for "Crisis Guide: Pakistan." * PBS, for "The Virtual Mine" on "Independent Lens: Deep Down—A Story from the Heart of Coal Country." 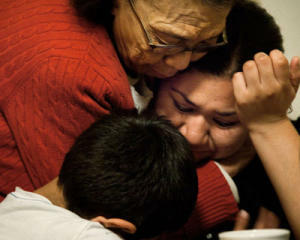 * The Los Angeles Times, for "Caught in the Crossfire: Victims of Gang Violence." * The Washington Post, for "Top Secret America." McLaughlin has a master's degree in journalism from Stanford University. He began his career at the Watsonville Register-Pajaronian and San Mateo Times. In 1982, he joined the San Jose Mercury News, where he has been a reporter, assistant city editor, state editor, and editorial writer. He has written extensively about immigration, Asian and Latino affairs, race, demographics, and marine science. His previous honors include awards from the Asian American Journalists Association, San Francisco Peninsula Press Club, United Press International, and Society of Professional Journalists. McLaughlin has lectured in the Science Communication Program since 2008. His fall-quarter students produce short news features up to 1,000 words, most of which are published in the Mercury News and other Bay Area publications with McLaughlin's guidance. National wire services distribute some of the students' stories.